If interested in hosting this class, please call TPCAF at 512-281-5400.or email TPCAF Training Coordinator. Why do agencies conduct internal investigations and what is it about the policing environment that facilitates misconduct? What is the legal context of internal investigations? What are the strengths and weaknesses of internal investigations? Eleven general internal investigative principles. Investigative tactics; gathering evidence and conducting interviews. 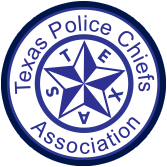 Proceeds to benefit the Texas Police Chiefs Association Foundation to support the families of officers killed in the line of duty. THIS COURSE IS OPEN TO ANY FEDERAL, STATE OR LOCAL LAW ENFORCEMENT OFFICER.